An investment agreement worth $1 billion has been signed by India’s National Investment and Infrastructure Fund (NIIF)with Abu Dhabi Investment Authority (ADIA). With this, ADIA became first institutional investor in NIIF’s Master Fund and shareholder in NIIF’s investment management Company. NIIF is claimed to be India’s first sovereign wealth fund. 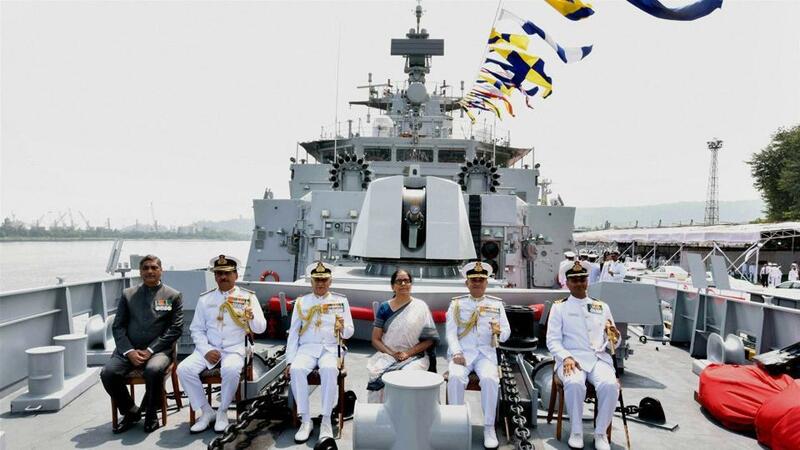 INS Kiltan, the indigenously-built anti-submarine warfare stealth corvette was commissioned an into the Indian Navy at the Eastern Naval Com mand (Naval Dockyard) in Visakhapatnam, Andhra Pradesh. It is India’s first major warship to have a superstructure of carbon fibre composite material resulting in improved stealth features, lower top weightand maintenance costs. About 81% of the ship is indigenous and it is well equipped to fight in Nuclear, Biological and Chemical (NBC) warfare conditions. The International Day of Rural Women is observed every year on October 15 to recognize the crucial role and contribution of rural women. The 2017 theme of the day is “Challenges and opportunities in climate-resilient agriculture for gender equality and the empowerment of rural women and girls.